LINE a baking tray with parchment paper and PRE-HEAT the oven to 190 degrees celsius or 375 degrees fahrenheit. CHOP the white chocolate in small chunks using a chefs knife and cutting board. 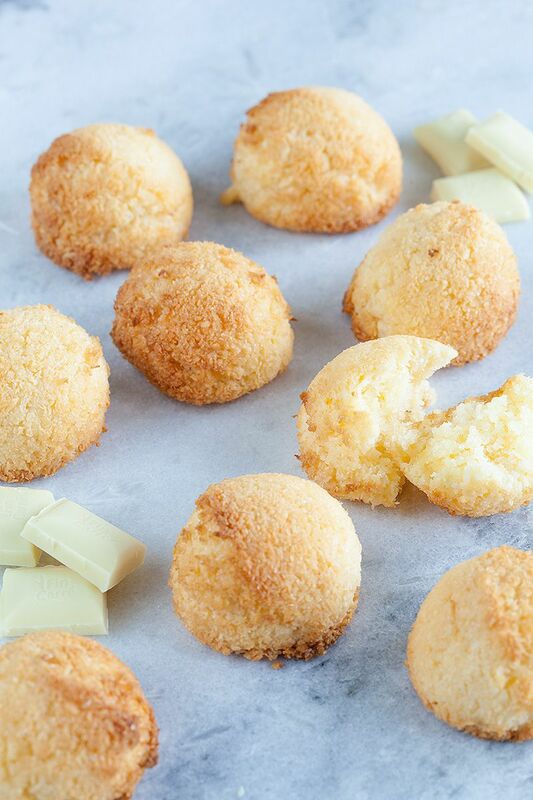 MIX the grated coconut with sugar and chopped white chocolate. 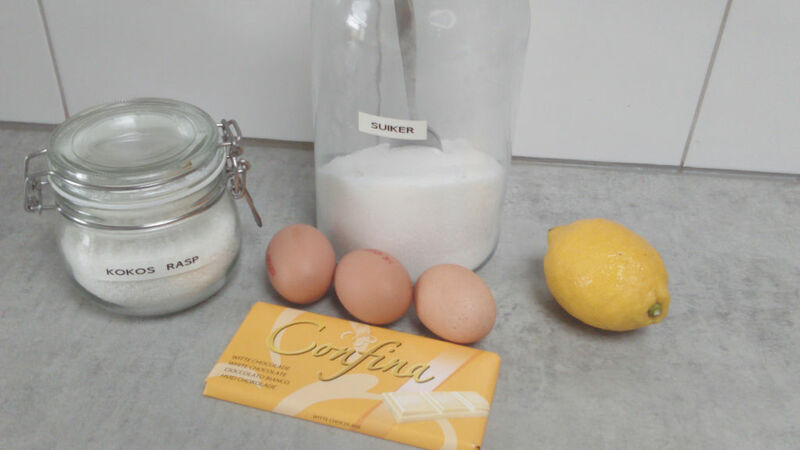 GRATE half of a lemon and add it to the mixture. ADD in the eggs and egg yolk. It will become a very sticky mixture, so you can use 2 spoons, piping bag or an ice scoop to divide it onto the baking tray. 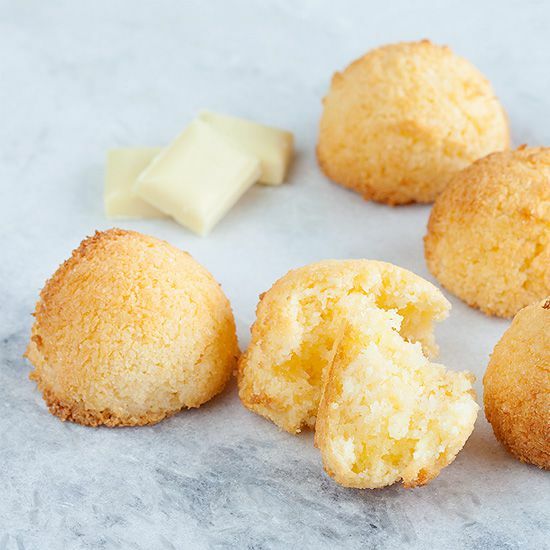 BAKE the macaroons in about 8 minutes golden brown. 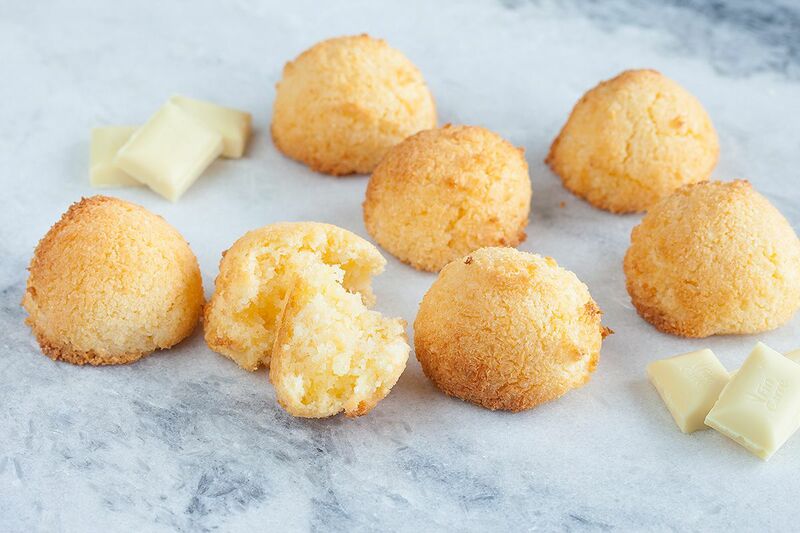 Depending on the size of your macaroons it can take longer or shorter. All you have to do is look at the color to see if they’re done. They will become crunchy on the outside but will stay kinda sticky on the inside. Enjoy!